The elegant and open ergonomic design of the Jupiter Vision provides perfect visibility, making products on display the main priority of visual impact. 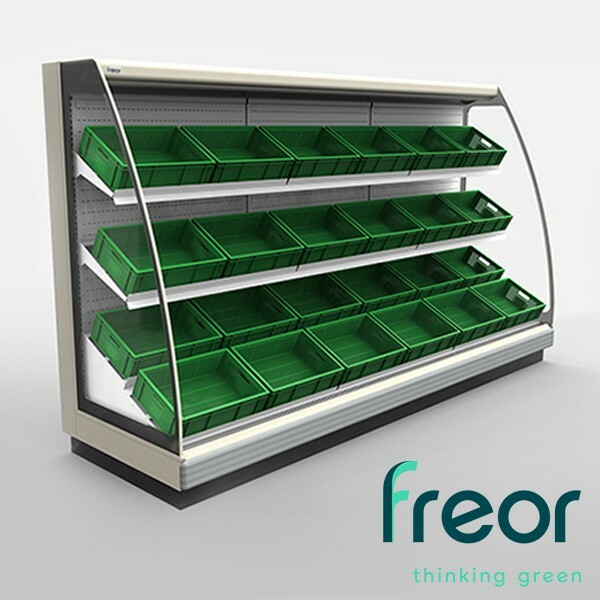 Its compact canopy lighting, panoramic sidewalls and cascade shelving (optional) guarantee perfect visibility from every angle. Optional specific construction of shelves with boxes provides the best way to display fruits and vegetables in a vertical approach. Jupiter Vision features wide-open display area and is also suitable for the preservation and display of dairy products, prepacked meat and delicacies.